How much fun would this be? Maggie always says she's going to be a rock star or a pop star, so I figure she's going to have a blast at the Pistons Dance Academy this weekend at the Palace of Auburn Hills. In groups arranged by age, 5 - 7 year olds, 8 - 12 year olds, or girls 13 and older can experience a day in the life of a Detroit Pistons Dancer! Registration deadline is this Friday, April 26 (although walk-ups will be accepted the day of the event with an additional $10 fee). 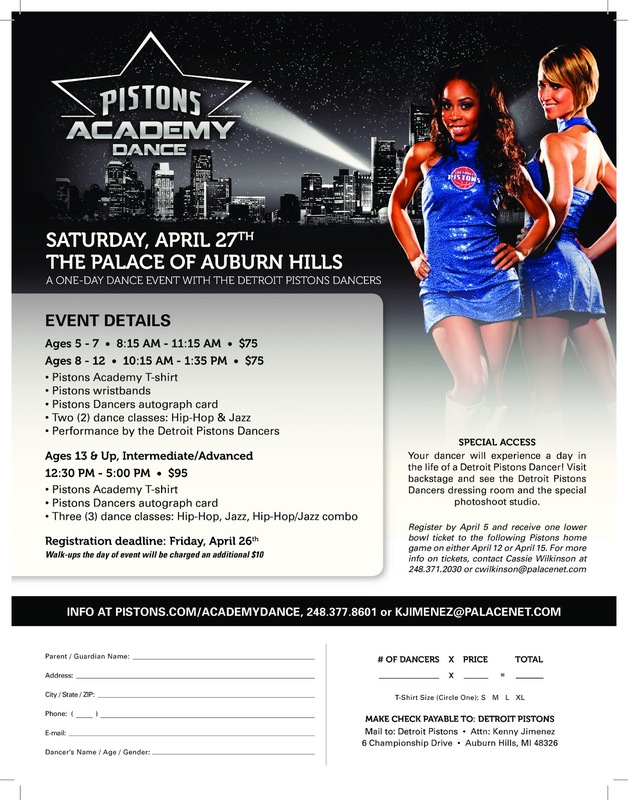 More information is available at Pistons.com/AcademyDance, or by calling 248-377-8801 or contacting kjimenez@palacenet.com.